Ever since I first heard the stirring stories about my Great Great Grandfather, Alfred Baker, I have harboured an ambition to visit the Taku Forts (known in China as the Dagu Forts). Alfred was a career soldier who travelled to China in 1860 whilst serving with the 67th (Hampshire) Regiment. A joint French / British expedition of some 14,000 men had been mobilised in order to force the extension of Western trading interests in Shanghai and Canton. The immediate objective was Pekin but access to the city was restricted because control of river traffic on the Pei-Ho river was exercised by the garrisons of the Taku Forts which had been constructed at the mouth of the river. This grip was broken on the 30th July 1860 when one of the forts on the North bank was taken at some cost to the attacking force and much greater cost for the defenders. On that day the South Hampshire Regiment were in the vanguard of the attack and were awarded four VCs as a result. 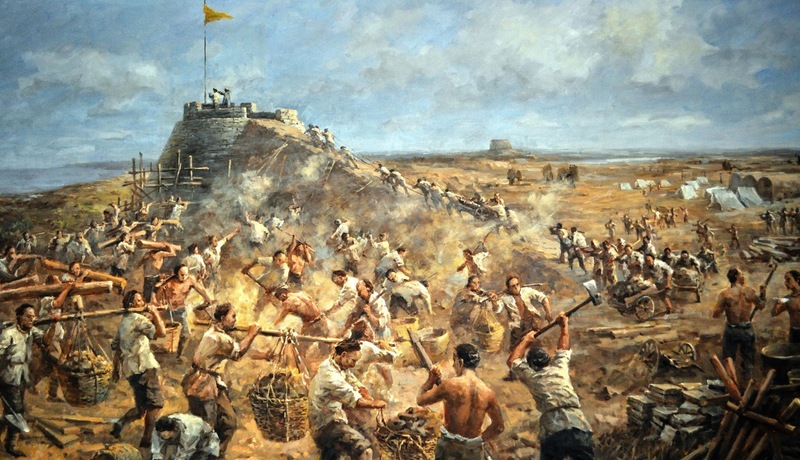 Following the successful assault the second fort on the North bank and the two forts on the South side surrendered. 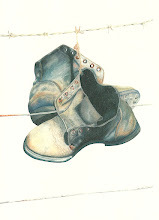 In planning my visit to the scene of the battle I had no illusions about the extent to which the landscape had changed. The small town of Pehtang where the force had come ashore had long since been subsumed in the urban sprawl of modern day Tianjin. Likewise the fields and causeways around what was Taku village had been drained and incorporated into one of the busiest cargo terminals in China. 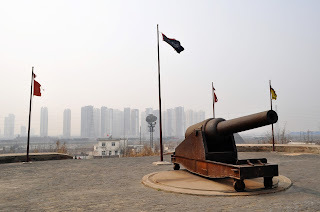 I knew that the Chinese had turned one remaining fort into a museum but with a one star rating on Trip Advisor it seemed to me that to get the most from my visit I would need to rely heavily on my imagination. The reality proved to be different - and truly spectacular. The trip down to Tianjin is an easy affair nowadays. The majority of the journey is on a pristine motorway through a flat landscape of paddy fields and grids of earth embankments. Nearer Tianjin the fields are replaced by endless construction sites with new skyscrapers standing toe to toe into the middle distance. The site of the battle on the Northern bank is no longer traceable. The whole topography has been changed by urban development and the re-channeling of the river. 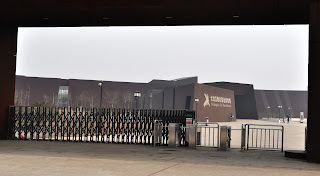 However on the Southern bank the remaining Taku Fort has been incorporated into a brand new 'world class' museum complex. The Fort has been sensitively 'tidied up'. The causeway ramp provides access to the parapet which is marked out by a mix of authentic and replica guns of the 1860 period. From the top there is a fantastic view of the estuary and the modern docks across the water on the outskirts of Tianjin. The museum itself is housed in a building which reminded me of the Imperial War Museum (North) in the UK. 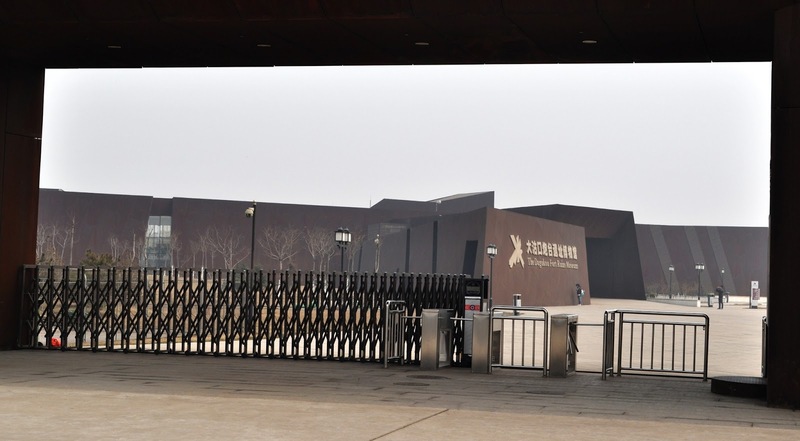 An angular black edifice carefully configured to provide great views of the fort and enough space to show off an eclectic mix of exhibits. Upon my return to the UK I was delighted to read this Chinese media report of my visit. 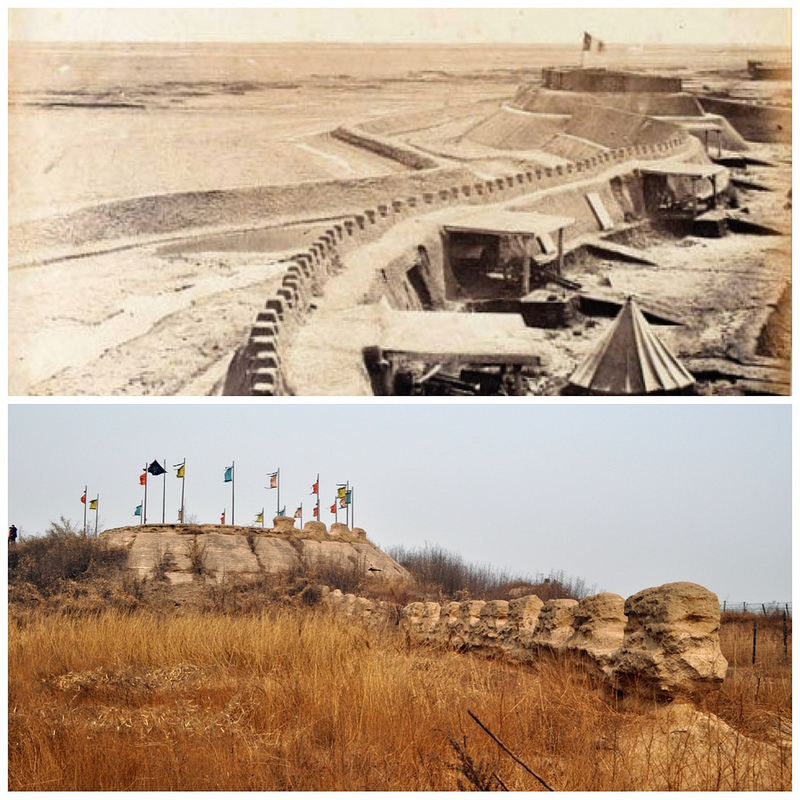 I've since been contacted by the Museum Director and I hope to be able to provide further insight to into the battles at the Taku Forts from a Western viewpoint as a contribution to the development of the excellent archive in Tianjin. A full set of photographs from my visit can be accessed here. For more detail on the 1860 action at the Taku Forts and the role played by Alfred Baker please click here.